Photos of supposed UFOs abound. Most of the time they show dark stains or bright dots in the sky, of varying dimension and quality, which could be due to a lot of things: military aircrafts, weather balloons, birds, meteors, etc. Sometimes the UFO is well focused, but the flying saucer always looks suspiciously similar to a pan lid suspended from a thread or a lamp holder or a wheel cap thrown in the air. And of course today the possibilities for digitally retouching an image are endless. What are lacking, however, are credible photos of the creatures that should be flying these UFOs—the actual aliens or extraterrestrials. It appears there are no more than fifty such photos shot in the past eighty years, but once you take out those plainly fake and the more suspicious looking ones all you are left with are about ten photos. These are, essentially, “mug shots” of wanted extraterrestrials. Here is my personal list of the best (or worst) photos of aliens. Howard Menger was a well-known American contactee who claimed he had met extraterrestrials throughout his whole life. He detailed in his books his chats with friendly Adamski-like Venusian “space brothers” who also gave him a wife and took him on their bases on the Moon and on Venus. 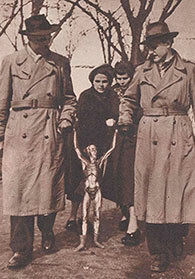 This is one of the photos that he took of his ET friends; interestingly, in his photos the aliens are always dark shapes illuminated from behind. They almost look like Menger’s mother or wife coming out in the porch at night with a flashlight in hand, calling for that weird Howard, always lost in his UFO dreams. Cedric Allingham was an amateur ornithologist who was looking for birds in the North of Scotland when he saw a flying saucer descend to the earth. One of the occupants exited the spaceship and walked up to him. The alien told him he was coming from Mars and, after a little chat, left. Precisely in that moment, Cedric took this picture. Well, yes, the beanpole here looks more like a janitor or a plumber than an extraterrestrial. 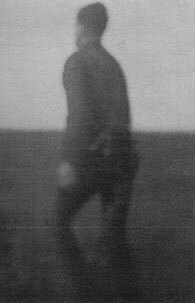 However, it was later suspected that Cedric Allingham never existed and that the photo was circulated by Patrick Moore, an astronomer well known for his pranks. 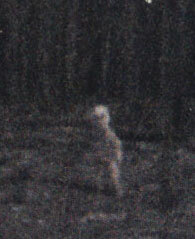 The photo of this alien “entity” was supposedly taken along with the film of a UFO landing. The fact that nobody knows who took the photo or the film, both sent by an unknown person calling him or herself “Guardian” to Tom Theofanous, a Canadian UFOlo­gist, does not help in taking the photo seriously. Other messages sent by “Guardian” describing a “conspiracy between the Chinese and Grey Aliens planning to take over the world” did little to increase its credibility. This seems to be the most ancient of the lot, even if it was seen for the first time in 2003. The anonymous source claims that his grandfather took the picture seventy years before in Alaska and gave it to him the day before he died. Nothing is known about the photographer, the location, or the date of the photo. Some thought that since the little man seems to be leaning on one side it might actually be a dummy. What is more suspicious, however, is the fact that with the original source “conveniently” dead exactly one day after his revelation (isn’t that a little too trite? 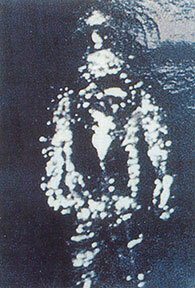 ), all possibilities of verifying the story are defunct. That night, police chief Jeff Greenhaw received a phone call from an excited lady who said that she had witnessed a “spaceship” land in an open field not far from the town proper. The sheriff took off with a camera and found a “tinfoil alien” who consented to be photographed but then ran away. The ridicule that the whole story brought on the sheriff’s office cost Greenhaw his job as well as his wife. Some think that he may have encountered someone wearing a fireman’s as­bestos suit; others, however, think that the being in the suit was a friend of Greenhaw and that the whole thing was an attempt to get famous that went terribly wrong. 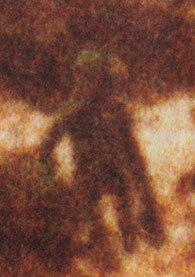 Taken by ex-policeman Philip Spencer, the photo seems to show an alien examining the bleak moor. Too bad the picture is taken from so far away and is so out of focus it is devoid of any discernible detail. But wait, Spencer also has a story that he was later able to remember (thanks to regressive hypnosis) about him being abducted by the aliens, taken on a spaceship, brought to space, shown a couple of movies about the destruction of Earth, and then returned to the moor. Unfortunately, no photos of the spaceship or close-ups of the aliens were taken. 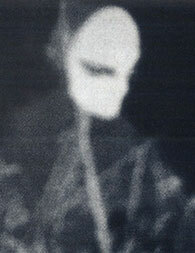 This picture, undoubtedly one of the best, was found in 1977 among the documents made public by the FBI on request of the UFO Information Net­work. 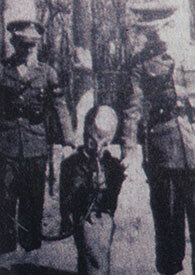 The photo seems to show an alien, with an odd breathing tube in its mouth, being escorted by two uniformed agents. Presumably the alien was captured alive after falling to the ground with his spaceship. A great photo! Too bad that in 1981 German journalist Klaus Webner discovered that it was actually an April Fool’s hoax made by photographer Hans Scheffler, who airbrushed an image of his five-year-old son Peter holding hands with two real soldiers. The photo had been published in the German newspaper Wies­badener Tagblatt on April 1, 1950, and was later revealed to be a joke. This is even better, but the day on which it was taken clearly gives away its true origin. Published by German photo magazine Neue Illustrierte, it was a crude photomontage part of a page devoted to the Aztec Saucer Crash hoax of 1948, the same episode (Ros­well was still not popular back then) that inspired the Wiesbaden hoax. Incredibly, some uninformed UFOlogists still take both pictures as real proof of aliens. 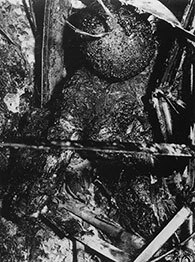 This one, purportedly showing the remains of a large headed alien (known among UFO buffs as “Tomato Man”), has often been shown as proof that aliens actually crashed with their UFOs on Earth. A more careful examination, however, reveals that the picture displays the remains of a human pilot perished in a plane crash. The human nature of the body is clearly revealed by the frames of a pair of eyeglasses near the right shoulder, while the earthly origin of the vehicle is shown by a close scrutiny of the structural remains: conductor cables, a six-sided hex nut, tubular piping, angle iron, and many welded areas all look man-made, and the welds conform to standard procedures of the time. This is probably the most in­triguing photo of them all. 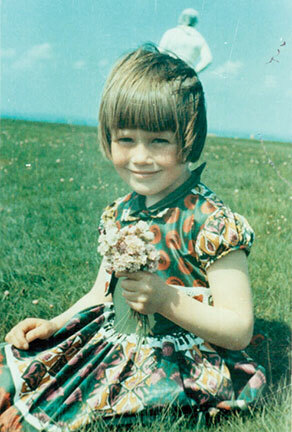 Jim Tem­ple­ton, a retired fireman, was taking pictures of his daughter on the Solway Marshes in Cumbria, north of Eng­land, but when he had them developed he found that behind the girl was a big, tall fellow in what looked like a white “spaceman” suit. He was quite sure that there was no one there when he took the photo. The case quickly became an international affair and so far no one has been able to explain the photo. Templeton, who later said he received a visit from two “men in black” who claimed to be from the government, was also known for his practical jokes. Could the photo be one of those jokes? Or maybe someone in the processing lab, knowing Jim’s penchant for tricks, decided to tamper with the film and play one on him? But then, perhaps because the image immediately re­ceived world-wide fame and Temple­ton’s daughter was bullied and had to be taken out of school for a while, it became embarrassing for Jim or anybody else to confess the hoax? We don’t know and will never know now that Jim Templeton is dead. 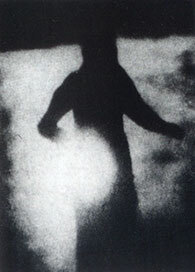 There are many other instances, however, in which phenomena that started as jokes quickly got out of hand: think of the Fox sisters tricking their parents with an apple bumped on the floor and inadvertently starting Spiritualism, or the two little girls in Cottingley who photographed “fairies” (that were thought to be real by none other than Sir Arthur Conan Doyle) and waited sixty years before confessing. Maybe things went the same way with the Solway Spaceman. It would have been typical. A typical case of UFOolery.